Susan Perry attended the University of Massachusetts, Amherst where she earned her Bachelor of Science in Animal Science. 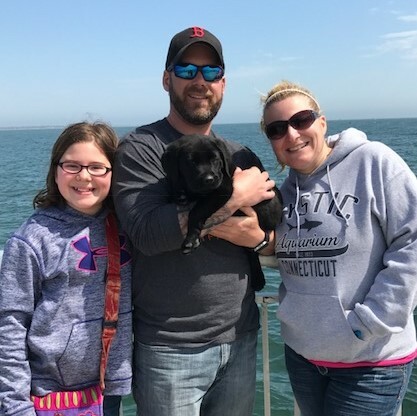 After graduating in May of 1999, she began work at the Mattapoisett Animal Hospital. She resides in New Bedford with her daughter Makenna and her boyfriend Bill. Susan has a black lab named Grady and a cat named Stitch. Susan loves being with her friends and family and spends every spare moment with Bill, Makenna, and her animals. Judy Swett has spent most of her career working in human pathology laboratories. 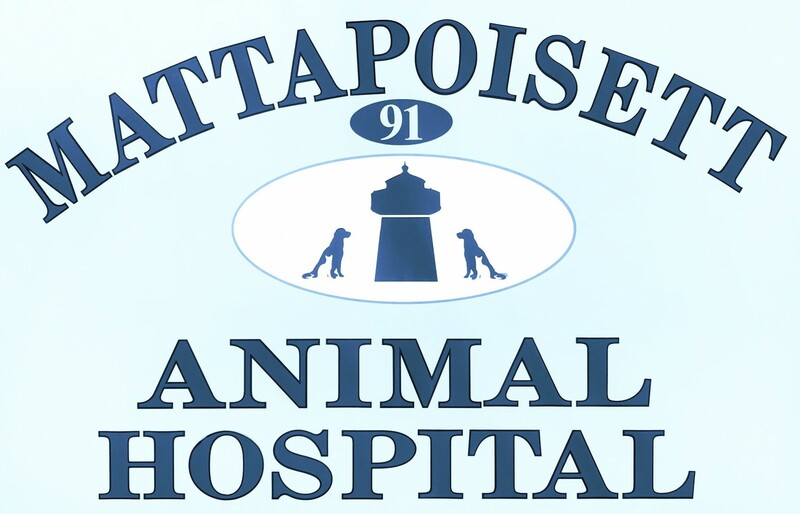 Her pets were patients at the Mattapoisett Animal Hospital for years before she expressed an interest in joining our staff. She grew up in western Massachusetts and attended the University of Massachusetts, Amherst where she attained her Bachelor of Science in Medical Technology. Judy lives in Wareham with her husband Jeff, their Irish setter, and 5 cats. Joanne Nicholson graduated from the University of Massachusetts, Dartmouth in 2003 with a Bachelor of Science in Biology. After graduation, Jojo began work at a biotechnology company. She then became an educator and animal care technician at a marine animal rehabilitation hospital. She lives in Wareham with her husband Kyle, their giggly daughter Caelyn, their cats Trouble and Chuckles, their greyhounds Belinda Bean and Rumble, and a gecko named Clyde. When she is not lounging with her animals, Jojo enjoys hiking, camping and spending time with family and friends. Ashley Smith graduated from the New England Institute of Technology with an Associates Degree in Veterinary Technology. She is a certified veterinary technician who successfully turned her lifelong love for animals into a veterinary career. 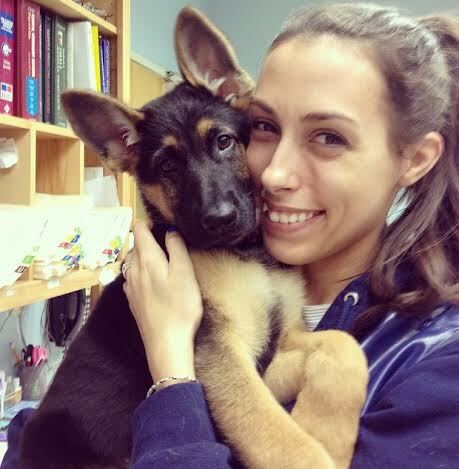 Ashley has been a vet tech at our hospital since April of 2014. Before moving to New Bedford, Ashley lived in Providence, Rhode Island and she is still a huge fan of the PC Friars. She has 3 dogs: a teacup yorkie named Brooklyn Bae, a German Shepherd/Pit Mix named Chevelle, and an Australian Shepherd named Hennessey. She also has a double-pawed tabby named O'Malley and a bearded dragon named Mushu. She enjoys gardening, trying new restaurants, visiting Disney World with her fiancé Daniel, and spending lazy days at home with her animals! Laurie Wilczek has been a member of our staff since September of 2015. Before joining us, Laurie worked as a pharmacy technician and could later be found rounding up animals as an animal control officer in Fairhaven. 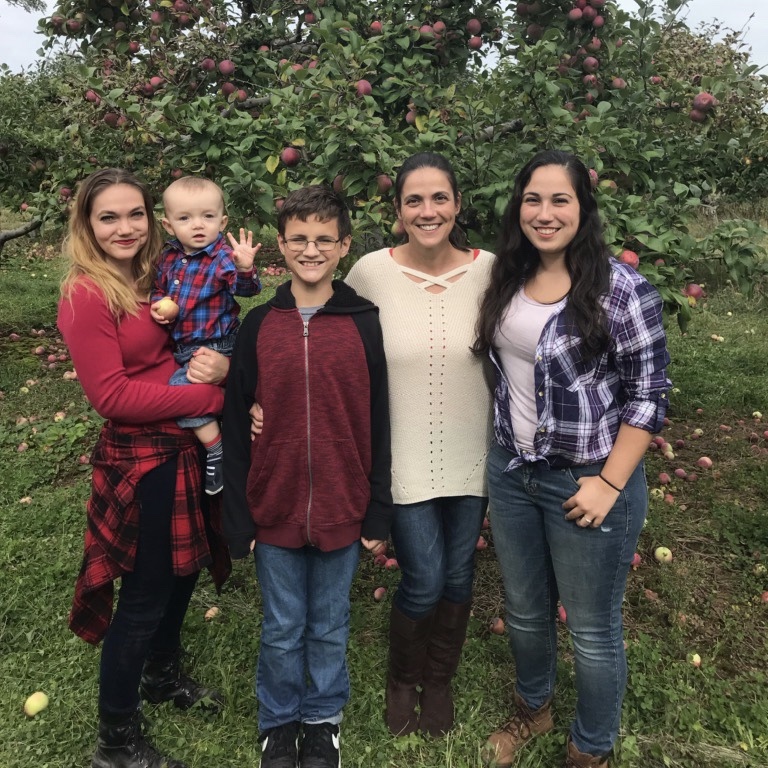 Laurie has three beautiful children, Aidan, Janelle, and Rachel, as well as a handsome young grandson named Jason. Currently residing in Fairhaven, Laurie loves hiking, watching movies, listening to music, and enjoying the occasional special edition peanut butter Snickers candy. Holly Ramos graduated from BCC in 2016 with an Applied Associates of Science with a Concentration in Veterinary Healthcare. That same year, she joined our hospital as a veterinary technician and has been with us ever since. Holly shares her home with her husband Jose, German Shepherd mix Lucy, guinea pig Georgie, cockatiel Frankenstein, and two cats Purr-C and Lady Greystone. Holly cherishes time spent with her niece Sara and can always be found at the beach on a bright summer day. Vanessa West attended BCC and the University of Massachusetts, Dartmouth with studied in biology. Vanessa is a national traveler having lived in Virginia Beach, Austin, and now South Dartmouth. She began work as a veterinary technician in 2006, started to focus on avian and exotic medicine in 2011, and found her home with us in January of 2017. Vanessa continues to travel for leisure, and also enjoys hiking and going to movies and concerts. She shares her home with her child Max, her dogs Harper and Luka von Woofenstein, munchkin cat Junior, and tarantulas Rosie and Steve Gutenberg. Patricia Caron began her time at our hospital in 2017. She is a phenomenal painter and a professional artist, creating magnificent works in her spare time. 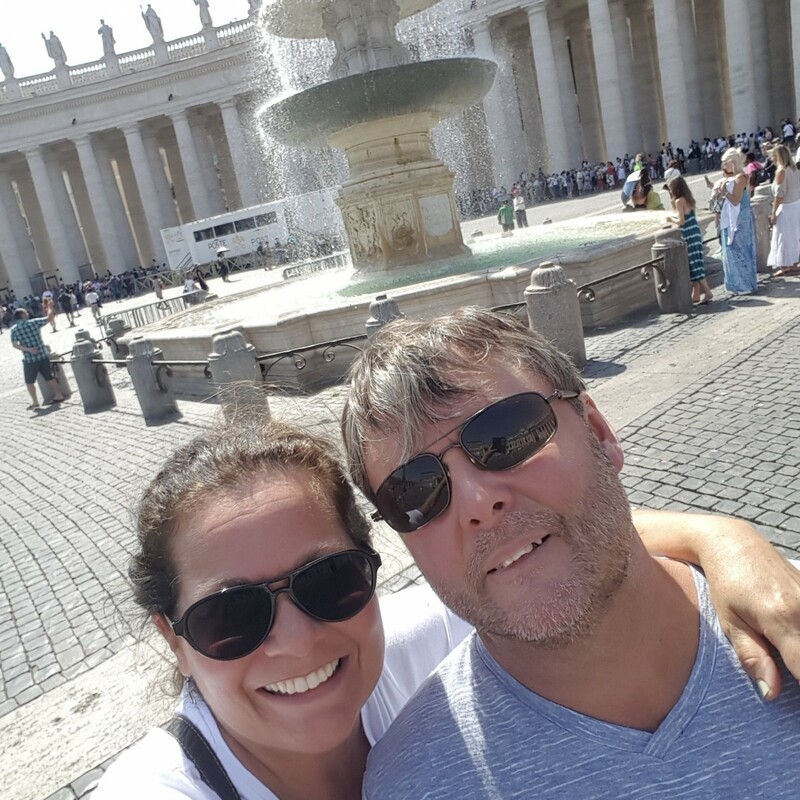 Tricia has been happily married to her husband Roger since 2008, and they love to explore their town of Fairhaven riding bicycles. Along with Roger, she shares her home with her three gorgeous kitties Pepper, Jinx, and Finn. Kayli Barriteau has been working at our hospital since May 2018 and is currently finishing her degree at BCC. Kay is a first-degree black belt and has been practicing Shotokan Karate for five years. She enjoys spending time outdoors fishing and attending concerts with her friends. She has a crested gecko named El Diablo, and loves to bring her Dwarf Angora Benjamin camping in a rabbit-friendly backpack. Julianne (Jay) Nolte is one of our newer additions who joined us in June 2018. She graduated from Lehigh University in 2018 with a Bachelors of Science in Biochemistry. Jay likes keeping up the hospital's image with festive gardening and decorations. In addition, she enjoys kayaking, hiking, paddle-boarding, and doing puzzles. She has a Golden Retriever named Tony and a Musk Turtle named Hercules. Lacey Brum is our newest addition having joined us January 2019. 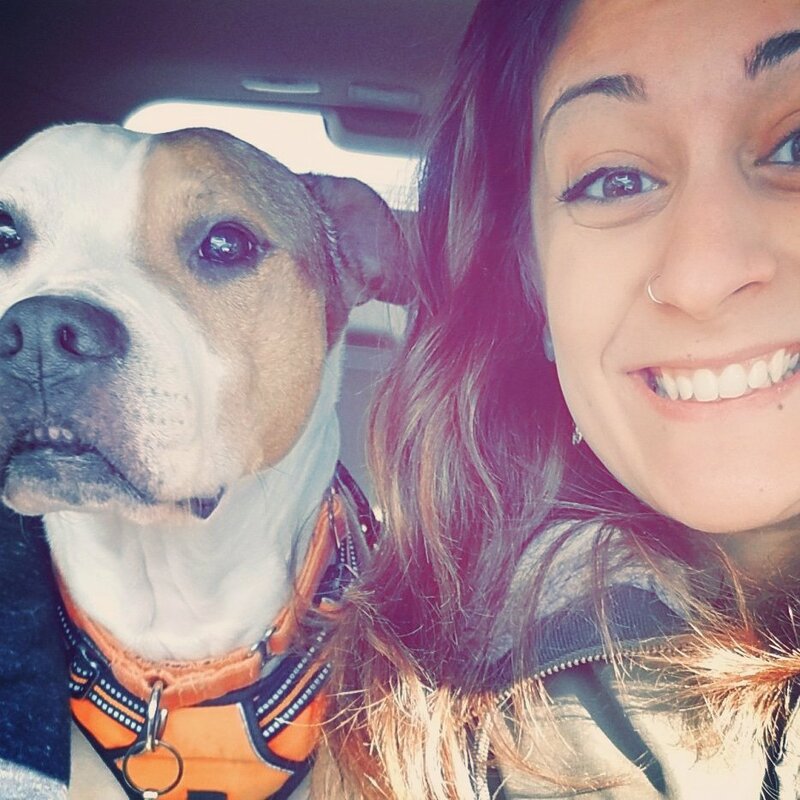 She spent two years at Becker College studying pre-veterinary medicine and graduated from BCC in 2016 with an Applied Associates of Science with a Concentration in Veterinary Healthcare. 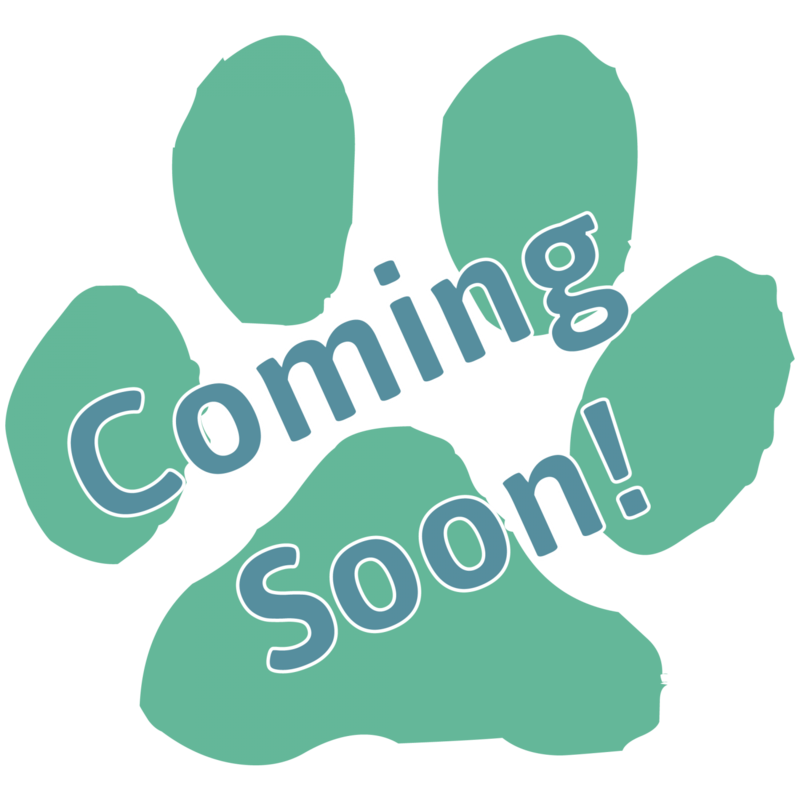 Lacey has five years of veterinary experience in both general and emergency practice. Julio is our beloved tuxedo cat, a stray who was hit by a car in February of 2002. After weeks of hospitalization, he made a tremendous recovery and now is the unofficial greeter of our hospital. In his spare time, Julio likes to chew plants, chase bugs, hitch a ride on an employee shoulder, and take naps on our counters. Julio enjoys playing with puppies until they become too rough... whereupon he torments them from tabletops. You can find Julio lying around the hospital waiting for his next friend to walk through the door. Harry was also a stray who came to us in February of 2010. He was very cold and malnourished and weighed only 4.5 pounds. 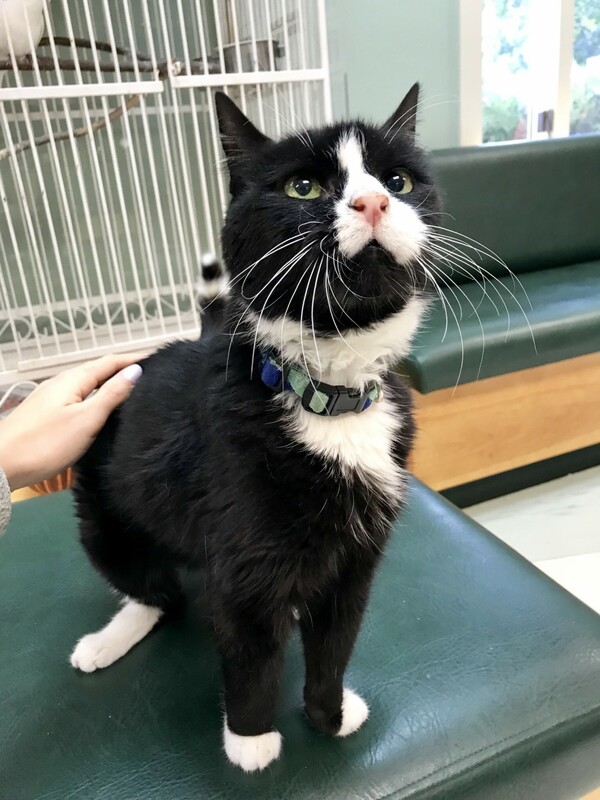 After a few weeks of warmth, food, and endless love and attention, he has become a great addition to our hospital. Harry has three legs and double paws, so he has enough toes for four legs! As a result, we affectionately call him Harry Toes. 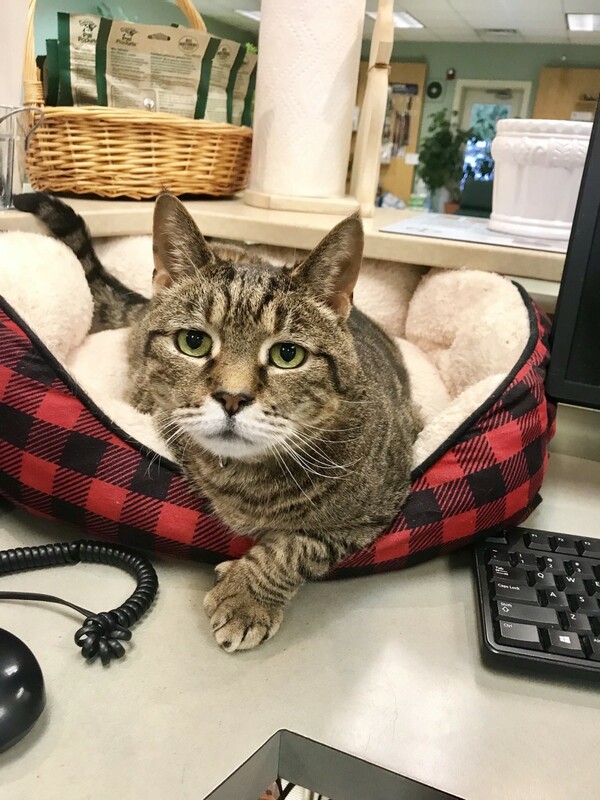 In his spare time, Toes loves to snooze on the front desk, chase treats across the waiting room floor, and hang up phone calls until someone pays attention to him! 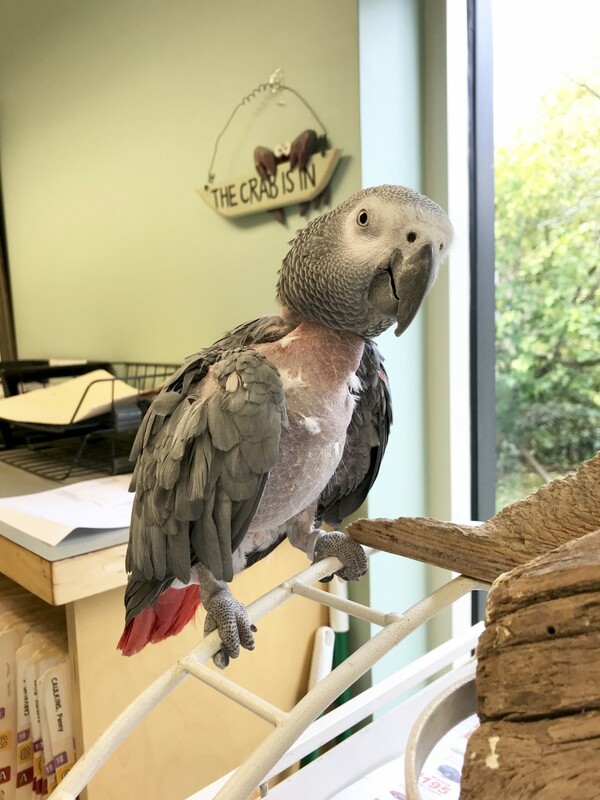 Alice is an African Grey who joined our staff in April of 2010. Alice has an amazing vocabulary that includes phrases like, "Alice is a bird," lyrics like Rihanna's, "work, work, work," and sound effects like sneezes and whooshes. In her spare time, Alice loves to eat grapes, shred paper, and flirt with men. You can find Alice behind our front desk from where she enthusiastically calls "goodbye" to exiting patients. 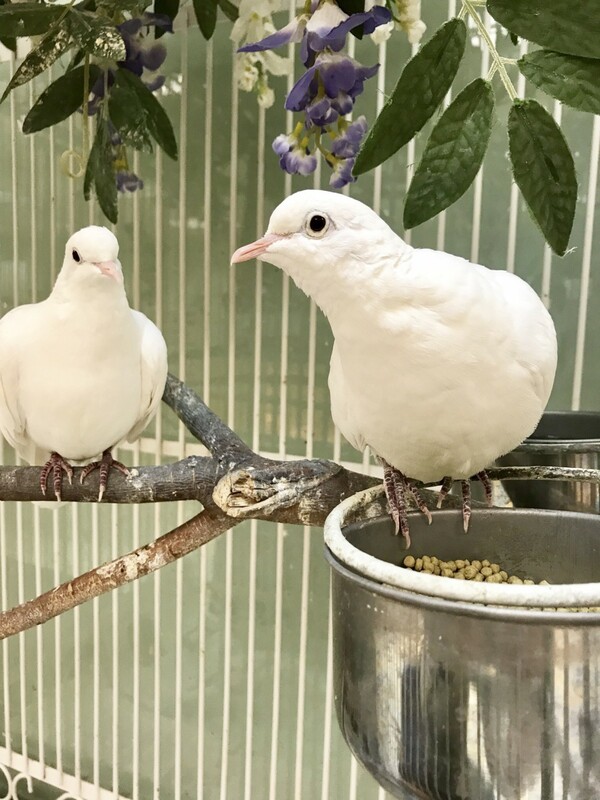 Love and Glove are two white doves that have lived at the hospital for quite some time now. We are confident that either dove would make a wonderful addition to any magician's hat, professional or amateur. Our doves enjoy eating crushed up Cheez-It crackers and reminding patients of their existence with a startling set of coos.